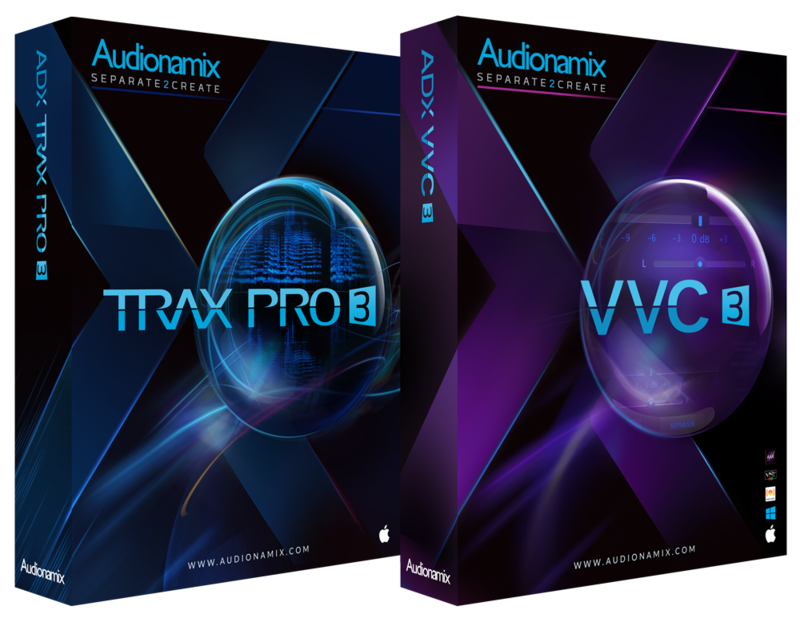 The best tools in the ADX product line, including speech and melodic plug-ins for convenience and our most powerful standalone separator. Simply the best. You wear many hats in this industry, and this bundle gives you the best solution for both music and post-production workflows. Separate speech, vocals, melody and more with TRAX Pro SP, our most powerful standalone software. 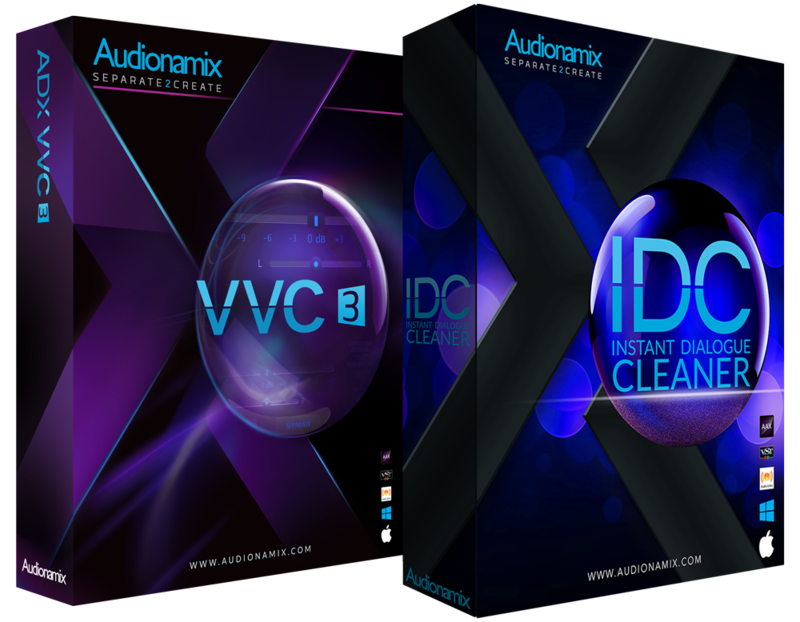 Work within your DAW with VVC and IDC, and tackle any issue with our top of the line pro-level software and plug-ins. The post-production engineer’s dream come true. Separate, isolate and control dialogue independently from background elements in mono and stereo recordings. Reduce or remove noise, improve speech intelligibility, clean up dialogue and much more. 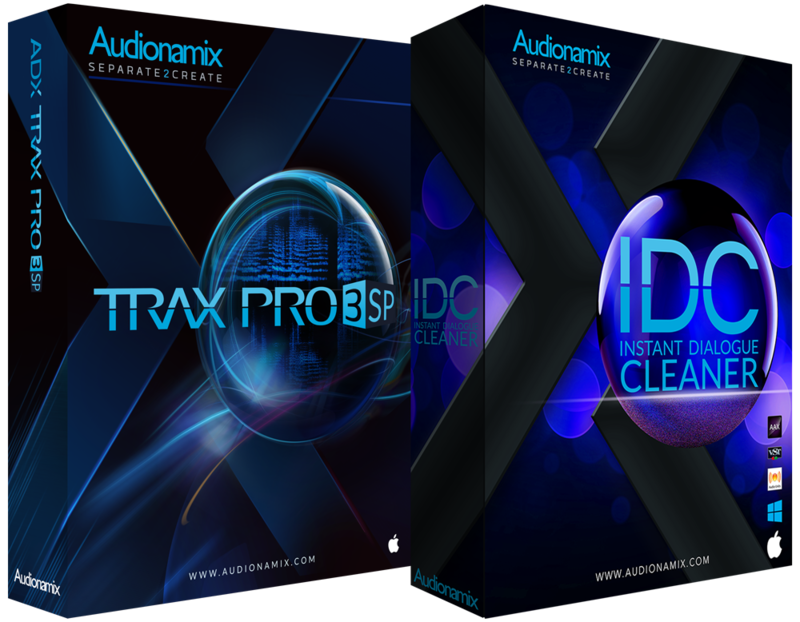 Use the IDC plug-in for quick fixes without leaving your DAW, then send your trickiest files to TRAX Pro SP, our most advanced separation solution. A $1198 software package for only $1049. The best value for music production workflows. 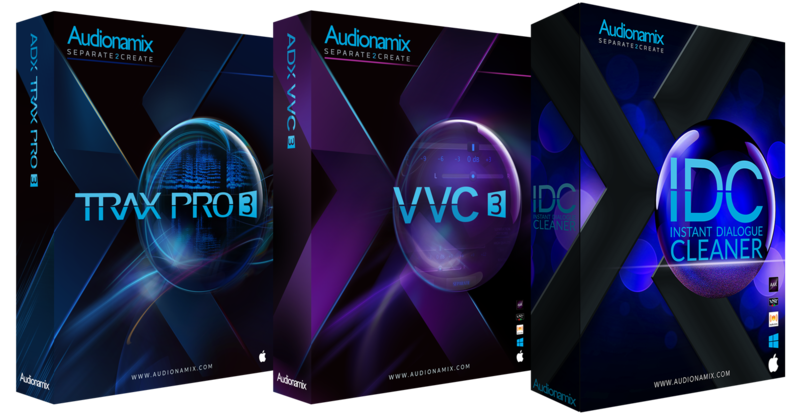 Use VVC to separate melodic content and automate its vocal volume and pan position within previously mastered mixes. Use TRAX Pro to create A Cappellas, unique instrument samples, and deconstruct mono and stereo files. A $698 software package for only $549. Automatically separate and seamlessly adjust speech and melodic content from within any mono or stereo mix, all from the comfort of your favorite DAW. Includes the new realtime, cloudless Instant Dialogue Cleaner plug-in. Our recommended choice for easy workflow integration on both Windows and Mac systems. A $298 plug-in package for only $249.